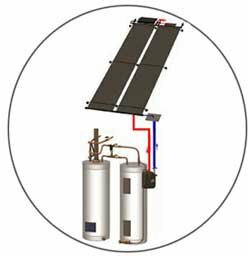 If you are interested in connecting your water heater to a home solar system but you do not want to invest in a brand new water heating unit, you may want to check out FAFCO Solar Water Heaters . The FAFCO Solar System for water heaters allows homeowners to connect solar panels to their existing water heaters. Your solar system contractor near The Villages, FL will be able to easily set up your brand new FAFCO system. FAFVO Solar Water Heaters offer a few advantages over the competition. By allowing homeowners to keep their current water heaters in place, FAFCO solar panels are cost efficient. Your FAFCO Solar Water Heater system will switch on when it detects that there is enough solar light to effectively heat up your home’s water supply. On a cloudy or chilly day, a FAFCO Solar Water Heater can activate the water heater’s conventional fuel or electricity source, which will ensure that the water does not cool down. Tax season has arrived, and many homeowners are looking for ways to save on their federal taxes. If you want to receive a fantastic deduction on your taxes next year, it is a great idea to act now and install new solar panels for your home. 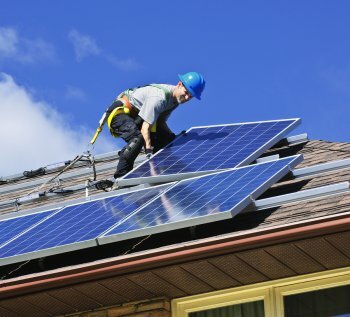 The federal government is encouraging home solar system installation by offering terrific tax incentives to homeowners. Your solar system contractors in The Villages, FL will be able to help you design an effective solar solution that meets the federal tax requirements. Along with helping you save on your taxes, there are other ways that solar panels can save you money. Installing a new solar system will effectively reduce your energy bills. In addition, by reducing your reliance on traditional electricity, solar panels can help to reduce your household’s carbon footprint. Overall, solar panels are a terrific investment for any family that wants to help protect the environment while saving money every month. If you want to make sure that your solar system operates at peak efficiency throughout the summer season, you might want to consider installing a solar attic fan . Your solar attic fan will be installed directly beneath your solar panels, and this innovative device will cool down your attic while also preventing your solar panels from overheating. A company that offers solar panels in The Villages, FL can provide you with detailed information about the benefits a solar attic fan has to offer for your home. Here are three reasons to consider solar attic fan installation before the start of the summer season. One of the top benefits of a solar attic fan is that this device will work to ensure that your home remains cool, even on the hottest summer days. When your home starts to heat up, hot air will naturally rise into your attic. When excess heat is detected, your solar attic fan will automatically turn on and start blowing hot air out of your attic space. While your home’s solar panels are designed to withstand hot temperatures, excessive heat may cause them to lose efficiency. 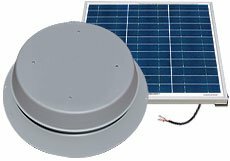 In order to prevent overheating in your solar system, it is a terrific idea to purchase a solar attic fan. When your solar attic fan blows hot air out of your attic, it will also lower the temperature of your solar panels. As a result, your panels will do a better job of producing electricity. A solar attic fan can help you keep your home from getting stuffy during the hottest days of the year. If you have started to notice that your indoor air feels stagnant, it might be time to consider scheduling solar attic fan installation to help keep air circulating through your home. Since the summer is approaching quickly, you will want to schedule this service as soon as possible. If you and your family members are itching to get out in the pool, you may want to consider a solar pool heating system . When you choose to include a pool heater with your solar home system installation, you will be able to harness the sun’s energy to keep your pool water at a comfortable temperature. A company that offers solar panels in The Villages, FL can help you install a new solar pool heating system. To highlight the advantages of switching to solar energy, here is a look at the benefits that a solar pool heater has to offer you. One of the top advantages of a solar pool heater is that this type of system heats up your pool water naturally. Your solar pool heater is equipped with a solar collector system, which absorbs heat from the rays of the sun. As pool water passes through the solar collector, it will be heated to your desired temperature. To keep your pool warm, your solar pool heater will continually pump water through its solar collection system. When you are shopping for a new pool heater, you will have the option of choosing either a natural gas or solar system. A solar pool heater can save you drastically on your pool heating costs each month in comparison to a gas-powered heater. Some customers report that they are able to save hundreds on their monthly bills when they make the switch to solar pool heat. While you may be concerned that your solar pool heater will not work as efficiently during the winter, you can rest assured that solar pool heaters can be used during every season of the year. Solar pool heaters are able to harness the sun’s energy, even during overcast days. If you want to get your pool up and running as early as possible this spring, be sure to look into the benefits of solar pool heat.